How to show ROI for content programs? 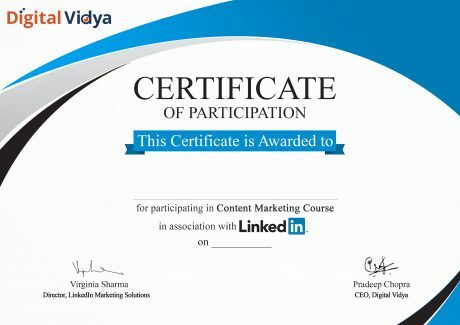 On successful completion of this module, all participants will get a Certificate issued by LinkedIn & Digital Vidya. 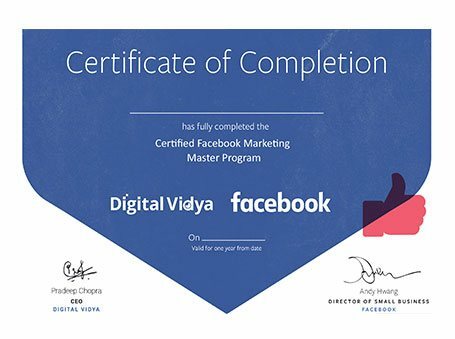 On successful completion of this module, all participants will get a Certificate issued by Facebook & Digital Vidya. I think Digital Vidya has become synonymous with today’s aspiring Digital marketing students and information seekers. It is a great starting point and a massive knowledge hub.